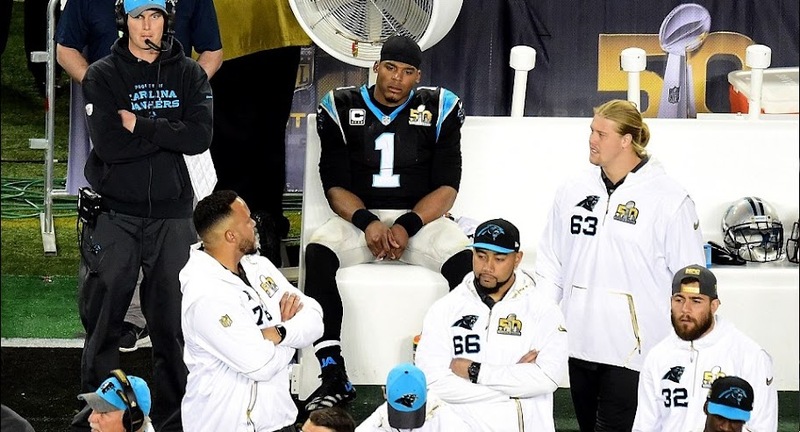 Brancos lead from start to finish in what was a very disappointing performance by Carolina Panthers who were widely tipped to win the Super Bowl. But a fast start by Broncos left everyone surprised and they raced to 24-10 win with All time great Peyton Manning in the heart of the action. 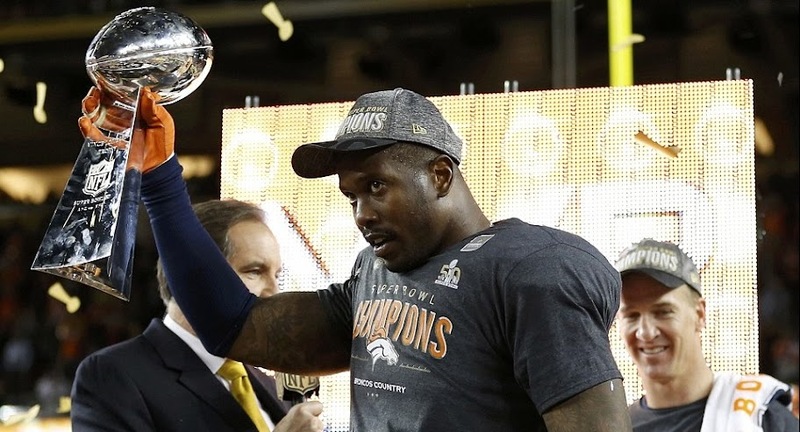 Miller was rewarded as the most valuable player in the Super Bowl and here he is with his MVP trophy after the game. He was key to Broncos water tight defense which was the main reason Broncos were in the Super Bowl. 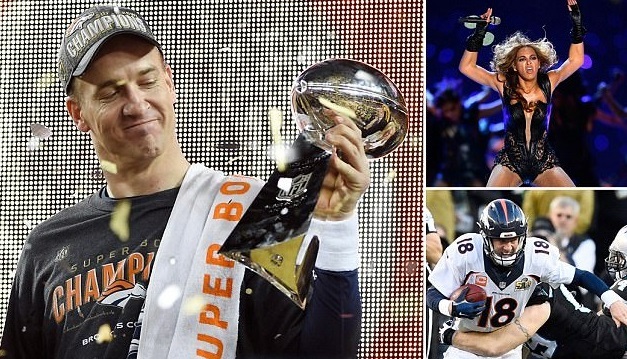 This was Broncos third ever win in Super Bowl. 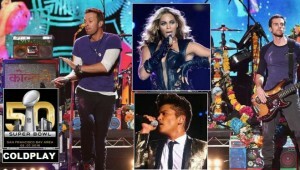 British Band ColdPlay headlines the halftime show but their close friends Beyonce and Bruno Mars also made the halftime show act performing on several songs. Beyonce and Mars had previously headlined Halftime show of Super Bowls on their own, were asked to join Coldplay and it turned out pretty decent performance. Carolina Panthers cheerleaders seen performing in the Superb Bowl but their team failed to replicate their season form and lost the Super Bowl. 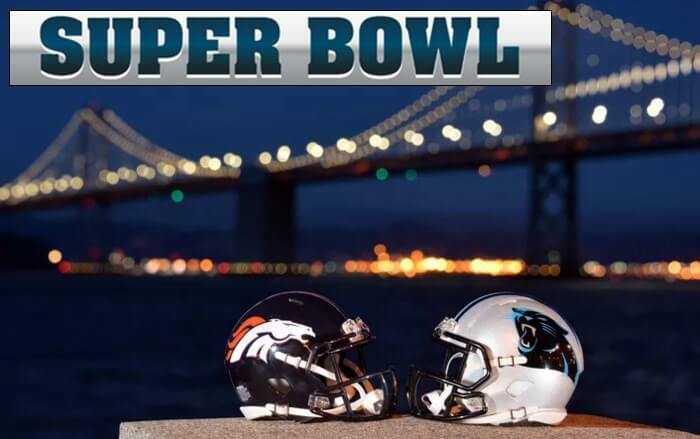 Super Bowl 2016 will be taking place this weekend on Sunday, 07 February 2016 at the Levi’s Stadium in Santa Clara. The game is schedule to kickoff at around 6:35 p.m. ET and CBS will be broadcasting the game live in United States on all possible platforms. Carolina Panthers are clearly the favourites going into the Super Bowl’s 50th edition having been the best team throughout the NFL season. Broncos on the other hand kind of crawled their way into the championship game having beaten New England Patriots in the playoff by just 2 points. Preview: So its all set up perfectly for the biggest sporting weekend in America with Superb Bowl taking over on Sunday. This will be the second time in three years that Broncas has made it to the final back in 2014 Seattle Seahawks blitz past Broncos with a superb win in the Super Bowl 48 with the scorline of 43-8. We can expect the similar result on Sunday with Panthers being the hot favourites. 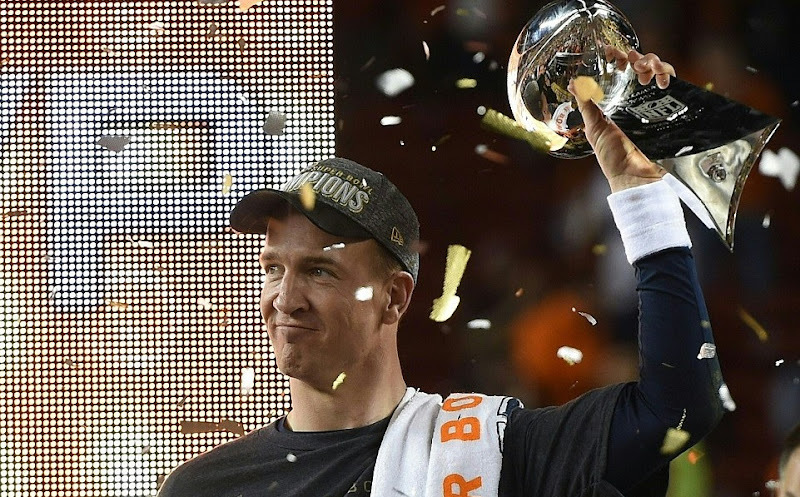 Having said that Broncos has one of the greatest quarter-back in the history of NFL in “Peyton Manning” who will be contesting his second Superb Bowl in three years and he will be eager to prove his worth being one of the highest paid player in NFL. So it all begins on Sunday evening with CBS starting their coverage couple of hours ahead of the kickoff and we have those usual advertisements and the halftime show which makes it more of a entertainment day rather some nasty competitive stuff. So by now you would know that British band ColdPlay is performing in the Superb Bowl 2016 halftime show with a guest Appearance from Beyonce. Lady Gaga will sing the national anthem before the kickoff. 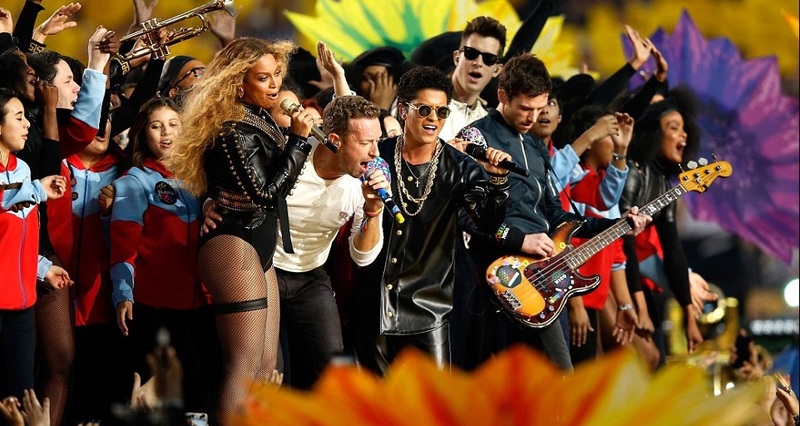 It was rumoured that Bruno Mars might make appearence for this years Super Bowl but that looks highly unlikely. We will have the replay video of halftime show right here on this page.